It’s the holiday season and you want Santa to visit your Denver area party or event. 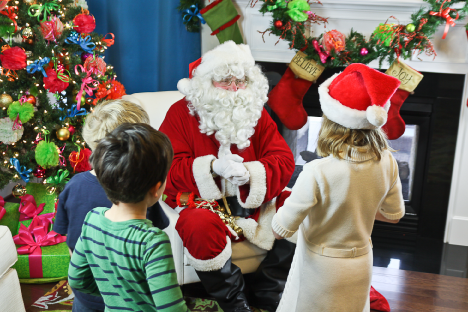 With over 38 years experience, Santa can visit your party, at home or another venue. He comes in full Santa attire, hat to boots, belt, gloves and more. He will read a holiday story, listen to childrens’ wishes and pose for photos. The Santa season is short so contact us right away if you want Santa to come to your party or event. Available now through 2 pm on Dec 24. Call 303-425-0230 or email info@coconuttheclown.com to book your party!